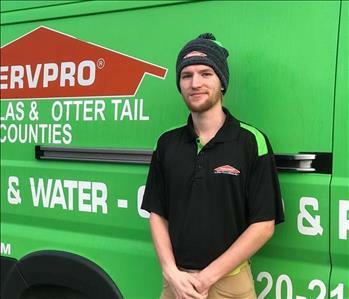 Trevor is a Production Technician at SERVPRO of Douglas & Otter Tail Counties. He is WRT Certified and has been with the Franchise since August of 2017. He was born and raised in Monticello, MN. He is a graduate of Rogers High School and Anoka Ramsey Community College. He was previously employed as Business Development Manager for Business Essentials in Minneapolis. The family cabin is here, so Trevor has been coming to the Alexandria lakes area his whole life and says he absolutely loves it here! When Trevor is not working, he enjoys wake surfing, hunting, fishing and golf. 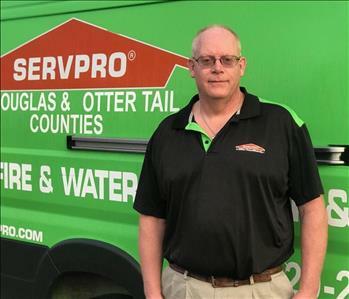 Ron is the marketing manager at SERVPRO of Douglas & Otter Tail Counties. He joined the franchise in January 2019 after several years in the insurance industry as a claims adjuster. His favorite part about working for SERVPRO is knowing our franchise and company helps people during a time of need when an emergency occurs. Ron is married and has two children who are very active. When Ron is not working, he enjoys going to his children’s activities and spending time camping, golfing, hunting and anything outdoors. Tom is a Production Technician at SERVPRO of Douglas & Otter Tail Counties. He is WRT certified and has been with the Franchise since July of 2018. Tom has a B.S. in Accounting and Finance. 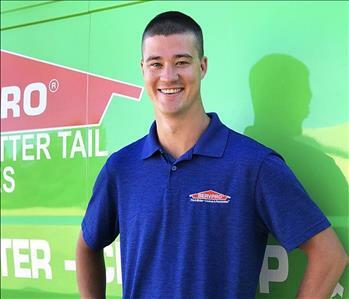 His favorite part about working at SERVPRO is helping customers out of bad situations. His hobbies include hunting, fishing, and shooting-reloading. Tom is happily married for 24 years, and enjoys staying busy outside of work by being involved in church activities. Tim is a production Technician at SERVPRO of Douglas & Otter Tail Counties. 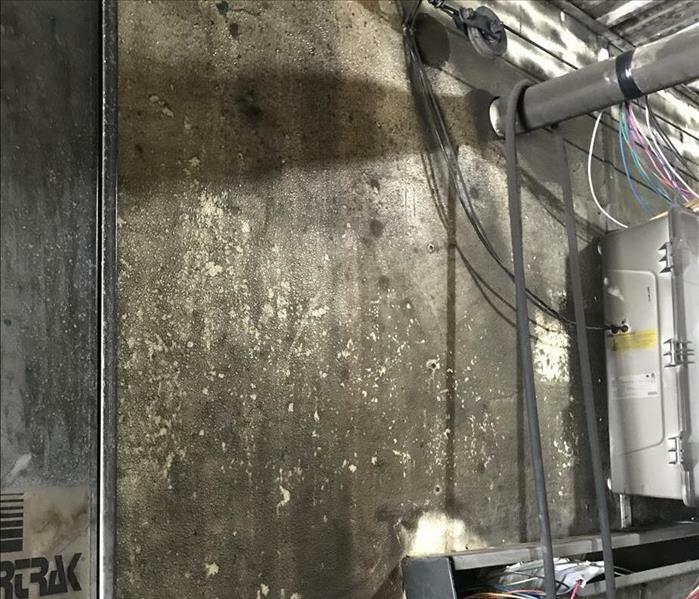 He is WRT certified and has been with the Franchise since August of 2018. Tim has an Associates Degree, and is currently pursuing his Bachelors Degree. His favorite part about working at SERVPRO is the awesome management. His hobbies include listening to music, swimming, snowboarding, and hanging out with his girlfriend, friends and family. "I put my abilities to the test when I have a task or important responsibilities in front of me." BJ Long is a Production Technician at SERVPRO of Douglas & Otter Tail Counties. He has lived in Alexandria his whole life and is a graduate of Alexandria Area High School. He has participated in school and community theater productions. When his is not working, BJ enjoys riding motorcycle and walking his two dogs – an Alaskan Malamute and an American Red Bull Dog.